Amaranthine Flowers By Design offers you this stunning arrangement in blue, pink and white, with long lasting oriental lillies, blue delphinium, berries and gerberas in a ceramic base. 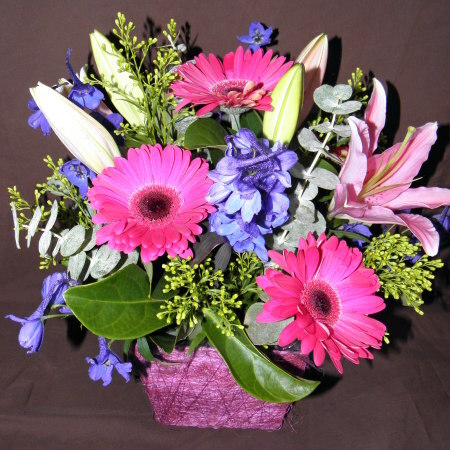 A unique arrangement, this will look gorgeous, adding a special touch to any room and make a fabulous gift to friends, family or business to business to say congratulations, thinking of you or just because. The Amaranthine Flowers By Design Arrangements are a beautiful way to say it all.